Over the two decades in particular, fish farming has brought about a silent revolution in catering to the nation’s protein requirement to a huge extent. Inland fishery sector’s tremendous growth as an organised and sustainable industry has undeniably aroused an undistinguishable ray of hope in the minds of the millions to buy animal protein at an affordable price. Incredible success story in this sector may sound even more mythical than the one found in Greek mythology is that this protein producing sector has achieved something once thought to be unachievable beginning just from the scratch. Presently, fishery sector provides 55 per cent of the country’s total animal protein intake. Isn’t it a giant leap towards achieving self-sufficiency in protein? From 2000 to 2016 inland aquaculture has increased from 7,12,640 metric tons to 20,60,408 metric tons a much larger quantity than the wild capture production 1,023 million tons in 2016. In 2010, the total export earnings from fisheries amounted to US $ 34.08 billion which within the span of just five years stood 46.60 billion in 2015. 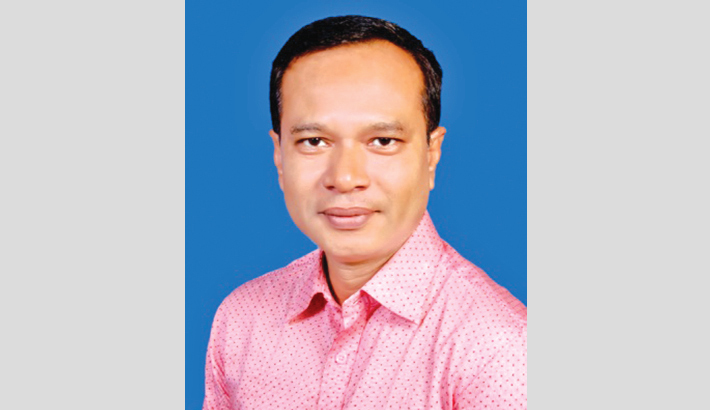 By any reasonable count, the increase is obviously a miracle which was only possible by a pragmatic and forward-looking vision and a down-to-earth mission of the fishery planners and experts of Bangladesh. In addition, being a first line littoral state of Indian Ocean, Bangladesh has a very good reserve of marine fisheries in the Bay of Bengal. Fishery sector’s contribution to our GDP is also quite commendable. Fish accounted for 6 per cent of GDP in 1970. Currently, fisheries contribute to 3.69 per cent to Bangladesh’s GDP and over 23 per cent to agricultural GDP. The dynamics of GDP increase has to be viewed by the statistics of fish production and population ratio. As against the population of seven and a half crore, 6 per cent GDP contribution of fisheries in 1971 was not bigger than current 3.69 per cent once viewed this increase against the backdrop of a population of over 18 crores. This real assessment itself speaks it all that there has been an enviable boom in fishery sector especially in the domain of cultured fish. Though marine fisheries yield makes quite a bigger part in the fish protein revolution, it is rightly the inland fisheries and most particularly the farmed fishes that spearhead this revolution and serve its lifeblood in a dauntless fashion. All nook and crannies of Bangladesh are now teeming with the lively and spirited presence of the cultured fishes. The avant-garde of this proverbial revolution are actually the farmers of our country who are directly involved in this scientific method of cultivating high yielding varieties of hybrid fish species. By digging ponds and water reservoirs in their homesteads and even in their agricultural plots, they keep promoting the cultivation of fishes in domestic arrangement and management and thus ensuring a viable warranty for animal protein supply all the year round. Bangladesh is one of the most important countries of the world in inland fish production. The traditional inland fish sources include ponds, tanks, canals, beels, haors, baors, bogs, ditches, and above all our innumerable proverbial rivers. Because of the barrages and embankments built by India on some big rivers like Tista, Padma etc. in the upstream, the normal and natural flow of these rivers and their innumerable tributaries has been badly manipulated through withdrawing water from these rivers. As a direct impact of this deliberate process of dewatering and diversion with regard to flow, once fishing bonanzas in these rivers have turned empty barren beds with lowest ever catches of fishes over the years. In this disheartening context of ground reality, our patriotic fish experts and scientists came forward to salvage the nation from catastrophic protein disaster and this is all about the beginning of our great but silent fish revolution. They chalked out a well-co-ordinated and viable scheme of work and embarked upon the scheme in all earnestness. Initially, our fish experts concentrated on the development and breeding of high yielding varieties from the popular native species through genetic engineering. After successfully making breakthrough in their experimental project, they tried the exotic species with practical knowledge gained from their research findings of just concluded experiments. Since fortune always favors the brave, our valiant scientists made ground breaking development in exotic fish breeding and promotion in the native waters and aqua environment. At present, the most common species cultured in our native aqua environment include Catla catla, Rohu, Mrigal carp, Silver carp, Grass carp and common carp. In addition, almost all other popular species like tengra, golsha, pabda, deshi magur, kanuch etc. are being cultivated in the poly-cultural native aqua environment. Most hearteningly, along with their production boom, they are readily being made available in each and every market of Bangladesh regardless of their locations. Prices of these cultured fishes are well within the purchasing capacity of even the lower income-bracketed people. The right initiative was taken when the moment struck and which was why this initiative ushered in an era of revolution. Now all Bangladesh is vibrating with the rhythmic movement of the cultured fish. Cultured fishery sector has by now has grown into a full-fledged self-sustaining industry which fully or partially provides employment to around 1 crore and 78 lakhs people. Now this sector grows 20 lakh tons of farmed fish a year and an overwhelming 75 per cent of farmers sell fish to wholesalers. What a revolution! In fact, the revolution of cultured fishes has translated the archaic proverb of ‘‘Bengalees live on rice and fish” into the context of present day reality.